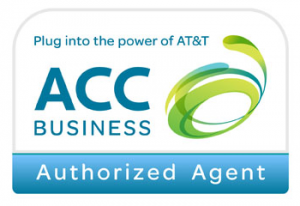 through its network of independent, authorized agents. AireSpring offers next-generation Integrated, SIP/VoIP, Voice, Data, Cloud Hosted IP PBX, MPLS and Conferencing products geared to deliver power and flexibility at cost-effective rates. When business needs power, flexibility, and affordability, AireSpring is THE solution! AireSpring has been awarded “Product of the Year,” “Best Value,” “Members Choice,” and dozens of product awards. To-date, AireSpring has set the record for more Telecom Association awards than any other carrier/reseller. BCN Telecom is a nationwide telecommunications company providing voice, data, wireless and cloud services to business customers. BCN Telecom knows that every customer is different and each product need is unique. That’s why their experienced engineers and authorized Agents work with clients to help them identify their current network infrastructure, future network needs and the best way to create a cost-effective, integrated system that fulfills the customer’s specific Voice, Data, Wireless and Cloud requirements.BCN Telecom enables clients to meet their business objectives through the application of advanced technologies. BCN’s extensive knowledge of Data Center, TDM/IP Voice, Wireless, Cloud and IP/MPLS-enabled core networking services, allows their architects to deliver solutions optimized to meet a client’s unique requirements as defined by the needs of their business.BCN Telecom creates cost-effective solutions that make sense for customers while improving their day-to-day business applications. DA~Live – 100% Live-Operator Wholesale 411 Directory Assistance. Talk to a real person for less than half of what AT&T, Verizon and the other carriers charge you to talk to a computer. DA~Web – Internet-Based Wholesale 411 Directory Assistance. Use our intuitive web interface for complete access to our data and total control over your search criteria. Granite is one of the premier communications solutions provider for businesses across the United States and Canada. With unparalleled North American coverage, Granite is the leading corporate communications service provider to multi-location companies through our scalable solutions, customized to manage all your local, regional, and national locations. Granite offers Dial-Tone, Infrastructure Solutions, and High-Speed Broadband services.By utilizing a single national supplier that provides discounted service, Granite eases the burden of invoice management by decreasing accounting and administrative costs. One Company. One Bill. One Point of Contact. Lumos Networks offers a complete suite of data and voice products supported by approximately 7,414 fiber-route miles in Virginia, West Virginia, and portions of Pennsylvania, Maryland, Ohio and Kentucky. Lumos uses an on-network service strategy that ensures redundancy and reliability. High-quality SONET, IP and Ethernet network architectures satisfy the most complex communication needs.Lumos Networks has a hundred-year history of innovative product offerings and exceptional customer service. Lumos’s product offerings include high-speed transport, wavelengths and Metro Ethernet. Lumos’s diversified portfolio is attractive to carriers with needs for transport and fiber to the cell site and to regional enterprise customers seeking high-quality data and IP services and interconnection to data centers in our region. MegaPath is a leading provider of voice, data, networking, security, and cloud services for small, medium, and enterprise businesses nationwide. MegaPath solutions help businesses lower communication costs, increase network security, and improve business operations and productivity. MegaPath services include: Voice and Unified Communications, Affordable High-Speed Data Services, Managed WiFi, Private Networking and Managed Security, and Cloud Services. TNCI Operating Company is a leading national telecommunications provider delivering an unmatched balance of industry experience and stability. TNCI specializes in wholesale voice and enterprise voice, data and cloud solutions. TNCI’s proven ability to help its customers navigate a shifting and often times chaotic market presents unique opportunities for its customers to compete and win. TNCI’s premier solutions include business VoIP, local phone services in 48 states, long distance, TNCI Telastic Hosted Voice, MPLS, Dedicated Internet Access, and more. As a single source for quality voice and data services, TNCI offers its customers unique opportunities for success. With its carefully orchestrated range of services and our committed team, TNCI helps to eliminate the obstacles organizations face working with other communications providers. TouchTone Communications is a full service provider of communication services with over forty thousand customers nationwide. The company was established in 1993 with one goal in mind, to offer the highest quality service at the most competitive prices, while maintaining the highest possible level of customer service. Since TouchTone’s inception they have focused on growing their product base without ever losing sight of the original goal. TouchTone Communications has an FCC 214 license to operate as a facilities-based International provider and is licensed to provide service originating from all 50 continental United States. TouchTone’s switching facilities are located in Newark, New Jersey with Major Points of Presence (POPs) that include Atlanta, Chicago and Los Angeles. The company maintains long-standing relationships with service providers around the world, including Tier One and emerging carriers. Touchtone offers a full range of voice, data/internet, and VoIP solutions serving residential business, government, and wholesale customers across the country and internationally. TouchTone prides itself on providing the highest quality services at the most competitive prices, while maintaining first-class customer support service. With TouchTone’s Network Operations Center (NOC), provisioning, and customer service departments and local distributors, customers can depend on both superior service and support. Method One Communications is a full service telecommunications company that offers a full array of telecommunications products and services. We are a multi-faceted communications company that is on the leading edge of technology. Our service portfolio includes Switched and Dedicated voice products, complete Data Line Circuits, VoIP, Internet Access and competitive Local Access pricing.Method One Communications is a full service telecommunications company that offers a full array of telecommunications products and services. We are a multi-faceted communications company that is on the leading edge of technology. Our service portfolio includes Switched and Dedicated voice products, complete Data Line Circuits, VoIP, Internet Access and competitive Local Access pricing.